Stories of travel, migration, immigration, and what we can learn by going to find ourselves in places where we don't belong. 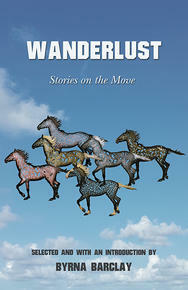 About the book: Readers of Wanderlust, an anthology of travel stories, will at once feel that need to roam, the longing for surprise, the thrill of just recognizing the threat of danger, and the nomadic impulse simply to move oneself for the sake of moving, that restless and endless quest for a new beginning—even if it means the end of one life and the start of a new one. In every story a character embarks on a journey of discovery. They travel through the Nordic Viking age, experience family life in Italy, interpret the Lascaux Caves in France, climb Nicaragua’s volcanoes, undertake a road trip through the villages of Mexico, and finally are brought back to the Canadian prairies. Editor and contributor Byrna Barclay draws inspiration from the philosophers who expounded on the theory that, rather than change, a person simply becomes more of what he or she already was at birth. Why we're taking notice: Award-winning writer Barclay has assembled this collection of travel writing from other Saskatchewan-based writers. There are stories that will take you somewhere, and give you the urge for going too. 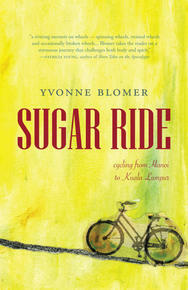 About the book: Blomer takes you into Southeast Asia by bicycle with her husband Rupert, their two companion-like bikes and her experiences cycling over 4000km through 4 countries over three months with the little devil she takes everywhere, her type 1 diabetes. A travel memoir, Sugar Ride explores the love of cycling and the roads it can pull you up, down and along while detailing the experience of having type 1 diabetes and the literal ride of sugar that daily injections of insulin, food and exercise create. Part loves story, part true cycling adventure and part dance with the body's strengths and weaknesses, Sugar Ride is an exploration of past adventures and how to feel about those experiences in the present. Why we're taking notice: Blomer is already well-known for her poetry and for her work as Poet-Laureate of Victoria, BC. Of her non-fiction debut, Patricia Young writes, "Blomer takes the reader on a strenuous journey that challenges both body and spirit. Her voice is so authentic and personal, I felt her exhaustion, fears and joy. " 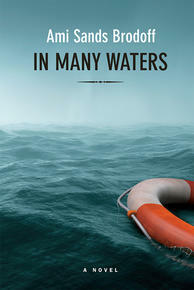 About the book: In Many Waters is the gripping story of three orphans whose lives intersect on the island of Malta during our current, urgent refugee crisis. Zoe, a budding historian, comes to Malta with her younger brother Cal to learn more about their Maltese mother, as well as the mysterious circumstances surrounding their parents' untimely deaths. The siblings' well-mapped plans are derailed when Cal, who is a daily swimmer in the Mediterranean, discovers a girl floating in the sea, barely alive. The small, battered fishing boat on which she has journeyed from Libya to Malta capsized in a storm: Aziza is the sole survivor. Meanwhile, Zoe returns to the site of her parents' drownings and stumbles across a trail of clues which lead to the discovery of an unknown family member, unearthing a chain of life-changing secrets. In Many Waters brilliantly mines the hearts and minds of characters in extremis, the unforgettable tale of the ways that we love and help one another and how the choices we make reverberate through generations. Why we're taking notice: Because Zsuzsi Gartner calls this book by award-winner Brodoff "a deeply intelligent and emotionally resonant story... A moving journey of weeks and months and years, awash with compelling characters." About the book: When Hannah accompanies her husband and small children to Jerusalem for the year, she becomes fascinated with a group of expat women at her son's daycare, as well as a young Palestinian woman named Jenna. 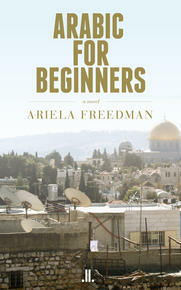 As she grows close to Jenna she starts to question her own marriage and her relationship to Israel. A novel of domestic and political ambivalence, Arabic for Beginners is about marriage, motherhood, friendship, nation, and the complicated ways we think of home. Why we're taking notice: Because of this endorsement from Heather O'Neill: "Freedman brilliantly captures the existential and alienated state that mothers of young children inhabit. Freedman's work is reminiscent of Rachel Cusk and Deborah Levy.” Okay! About the book: During the Second World War, approximately 4,000 Japanese-Canadians were "repatriated" to Japan. Among those Canadians sent back to were members of author and poet, Sally Ito's family. As a Japanese Canadian child growing up in the suburbs of Edmonton, Alberta, Ito's early life was a lone island of steamed tofu and vegetables amidst a sea of pot roast and mashed potatoes. Through the Redress movement of the late 80s, the eventual Parliamentary acknowledgment of wartime injustices, and the restoration of citizenship to those exiled to Japan she considers her work as an author of poetry and prose, meditating on themes of culture and identity. Later as a wife and mother of two, Sally returns to Japan and re-lives the displacement of her family through interviews, letters, and shared memories. 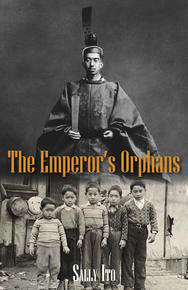 Throughout her journey Ito weaves a compelling narrative of her family's journey through the darkest days of the Pacific War, its devastating aftermath, and the repercussions on cultural identity for all the Emperor's Orphans. Why we're taking notice: Ito has made her mark on the Canadian scene as a poet, translator, fiction writer and critic, which makes us all the more excited about this new non-fiction work. About the book: On leave from Canada’s Community Policing department, Esa Khattak is traveling in Iran, reconnecting with his cultural heritage and seeking peace in the country’s beautiful mosques and gardens. But Khattak’s supposed break from work is cut short when he’s approached by a Canadian government agent in Iran, asking him to look into the death of renowned Canadian-Iranian filmmaker Zahra Sobhani. Zahra was murdered at Iran’s notorious Evin prison, where she’d been seeking the release of a well-known political prisoner. Khattak quickly finds himself embroiled in Iran’s tumultuous politics and under surveillance by the regime, but when the trail leads back to Zahra’s family in Canada, Khattak calls on his partner, Detective Rachel Getty, for help. Rachel uncovers a conspiracy linked to the Shah of Iran and the decades-old murders of a group of Iran’s most famous dissidents. Historic letters, a connection to the Royal Ontario Museum, and a smuggling operation on the Caspian Sea are just some of the threads Rachel and Khattak begin unraveling, while the list of suspects stretches from Tehran to Toronto. But as Khattak gets caught up in the fate of Iran’s political prisoners, Rachel sees through to the heart of the matter: Zahra’s murder may not have been a political crime at all. Why we're taking notice: Because the third book in Khan's award-wining detective series is her best one yet—and because her descriptions of food and eating will leave you feeling ravenous. 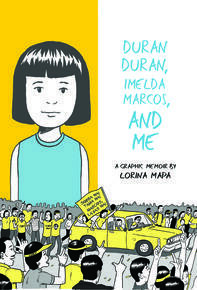 About the book: A graphic memoir about growing up in the Philippines in the 1980s with Depeche Mode, Duran Duran, Imelda Marcos and the EDSA Revolution.When she learns of her beloved father's fatal car accident, Mapa flies to Manila to attend his funeral. His sudden death sparks childhood memories. Weaving the past with the present, Mapa entertains with stories about religion, pop culture, adolescence, social class and politics, including her experiences of the 1986 People Power Revolution which made headlines around the world. It is a love letter to her parents, family, friends, country of birth, and in the end, perhaps even to herself. Why We're Taking Notice: The book sounds terrific, and check out the great buzz it's generating already. 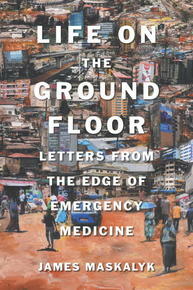 About the book: In this deeply personal book, humanitarian doctor and activist James Maskalyk, author of the highly acclaimed Six Months in Sudan, draws upon his experience treating patients in the world's emergency rooms. From Toronto to Addis Ababa, Cambodia to Bolivia, he discovers that although the cultures, resources and medical challenges of each hospital may differ, they are linked indelibly by the ground floor: the location of their emergency rooms. Here, on the ground floor, is where Dr. Maskalyk witnesses the story of "human aliveness"—our mourning and laughter, tragedies and hopes, the frailty of being and the resilience of the human spirit. And it's here too that he is swept into the story, confronting his fears and doubts and questioning what it is to be a doctor. Masterfully written and artfully structured, Life on the Ground Floor is more than just an emergency doctor's memoir or travelogue—it's a meditation on health, sickness and the wonder of human life. 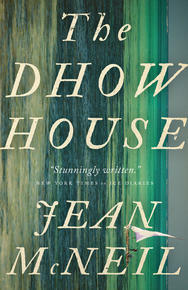 Why we're taking notice: Readers who loved the acclaimed Six Months in Sudan are eagerly awaiting this follow-up. About the book: An anthology of Canadian immigrant women and their experiences of being caught between the world of their past and the world of their future. 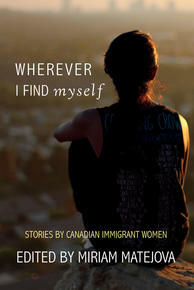 Edited by Miriam Matejova, Wherever I Find Myself is a diverse collection of stories about the joys and struggles of immigrant women living in Canada. Often bringing with them the shadow of war and the guilt of leaving, the women in this new anthology expose their emotional pain but also their gratitude for being able to call Canada home. Their stories paint touching and charming portraits of cultural and linguistic misunderstandings, bureaucratic hurdles, attempts to navigate unfamiliar landscapes, and a desire to be accepted despite differences in accent, skin colour, or taste in food. Together they form a mosaic of emotions and worldviews that underline the immigrant condition for women. Why we're taking notice: Take a look at the book's introduction—you'll want to read the whole thing. About the book: Unwilling to endure a culture of silence and submission, and disowned by her family, Nadia leaves her native Tunisia in 1984 amidst deadly violence, chaos, and rioting brought on by rising food costs, eventually emigrating to Canada to begin her life. More than twenty-five years later, Nadia’s daughter Lila reluctantly travels to Tunisia to learn about her mother’s birth country. While she’s there, she connects with Nadia’s childhood friends, Neila and Mounir. She uncovers agonizing truths about her mother’s life as a teenager and imagines what it might have been like to grow up in fear of political instability and social unrest. As she is making these discoveries, protests over poor economic conditions and lack of political freedom are increasing, and soon, Lila finds herself in the midst of another revolution — one that will inflame the country and change the Arab world, and her, forever. 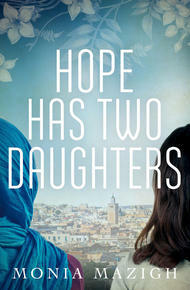 Weaving together the voices of two women at two pivotal moments in history, the Tunisian Bread Riots in 1984 and the Jasmine Revolution in 2010, Hope Has Two Daughters is a bracing, vivid story that perfectly captures life inside revolution. Why we're taking notice: From the review in The Toronto Star: "Hope Has Two Daughters adds significantly to a growing body of literature by and about Muslim women and sheds fresh light on a country still experiencing its own coming of age." About the book: When Rebecca Laurelson is forced to leave her post as a trauma surgeon in an east African field hospital, she arrives at her aunt’s house on the Indian Ocean and is taken into the heart of a family she has never met before. It’s a world of all-night beach parties and constant cocktail receptions, and within its languorous embrace her attraction for her much younger cousin grows. But the gilded lives of her aunt Julia’s family and their fellow white Africans on the coast are under threat — Islamist terror attacks are on the rise and Rebecca knows more about this violence than she is prepared to reveal. Will she be able to save her newfound family from the violence that encroaches on their seductive lives? Or, amidst growing unrest, will the true reason for her hasty exit from her posting be unmasked? 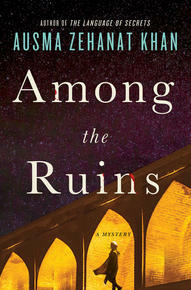 Rebecca finds herself torn between the family she hardly knows and a past she dares not divulge. Why we're taking notice: We published an excerpt from her non-fiction book about Antarctica last year. We're excited to see what happens when her work is set in warmer climes. 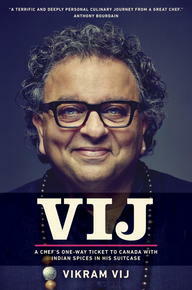 About the book: Fragrant with the smells of cumin, turmeric, fennel, and cloves, Vij reveals the story of Vikram Vij, one of Canada’s most celebrated chefs and entrepreneurs. Co-owner of the world-famous Vij’s Restaurant in Vancouver, his story is a true rags-to-riches tale of a college dropout from northern India who made it to Europe’s temples of high cuisine, then with a one-way ticket bound for Canada, found fame serving some of the world’s most transcendent Indian cuisine. Vij’s Restaurant, originally a fourteen-seat establishment known for its extraordinary flavours and spice blends, along with a firm no-reservation policy, received accolades from restaurant critics and patrons alike. Why we're taking notice: Because this book has been called “A terrific and deeply personal culinary journey from a great chef”—from no less than Anthony Bourdain!